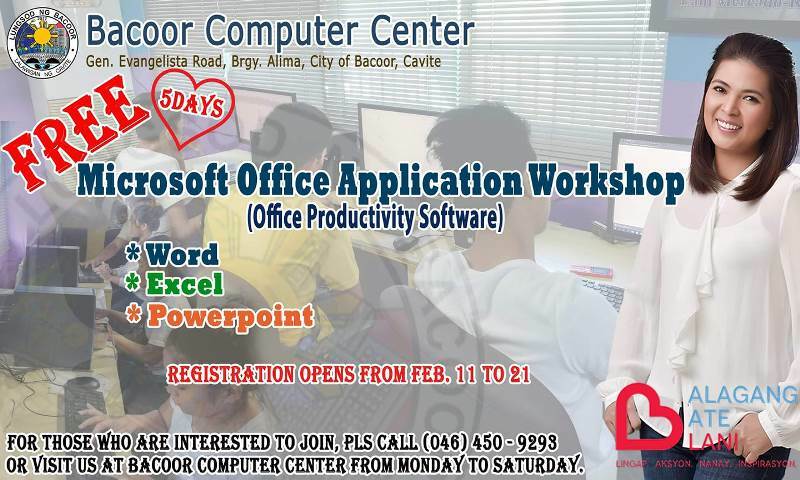 We are inviting everyone to come and join our FREE Microsoft Office Application Workshop. This workshop includes Basic Training on Microsoft Word, Excel and PowerPoint. Let us put your idle time to something worthy and get benefited from this workshop. 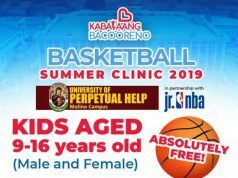 For those who are interested, you may register personally at Bacoor Computer Center from Monday to Saturday, or you may call us at (046) 450-9293 for more information. Registration is on February 11 up to February 21 only . So what are you waiting for? Hurry and reserve your slot now! For govt. 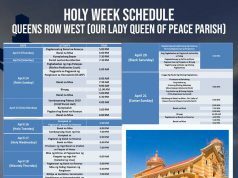 officials or employees, to register, just present your govt. issued IDs and accomplish the registration form available at the BCC.